A growing number of refugee students are a part of the Hellgate school community. 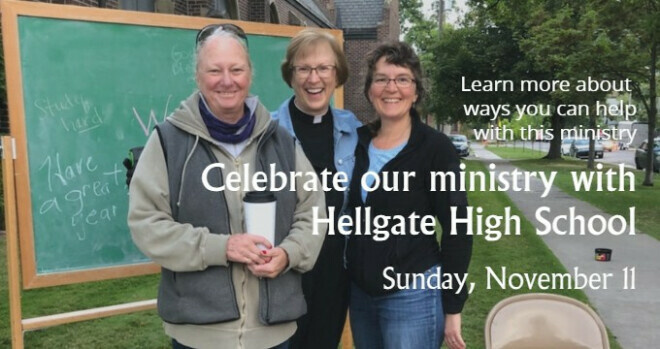 Holy Spirit will host Hellgate Sunday on November 11, where we will hear from Tracy and be able to sign up to serve in ways that include shopping, organizing, tutoring/mentoring, advocating and providing financial support. Our thanks to A’Lisa Scott, our Holy Spirit Hellgate ministry coordinator, . A’Lisa, Tracy and I will connect with you November 11!